In lieu of flowers, memorial donations may be made to the Tanner Barger Memorial Scholarship Fund and left at the funeral home. Virginia Juanita (Gassett) Toliver, age 93, of El Dorado Springs, MO, passed away October 9, 2016, in Community Springs Healthcare Facility. The daughter of Walter Ross and Tressie Fern (Oder) Gassett, Virginia was born October 13, 1922, in Stockton, MO. She was a lifelong resident of Cedar County, living most of her life in El Dorado Springs. She graduated from Stockton High School in 1941 where she excelled on the girls basketball team. Virginia married David Elton Toliver on July 19, 1941. They were blessed with five children and were married 60 years before Elton’s death in 2001. Virginia loved her family. She was happiest when she was cooking and preparing holiday meals for her children, grandchildren and their families. She spent many tireless hours assisting in the care of her grandchildren and great grandchildren. After working many years at International Shoe Factory, she retired when the company closed. She was a longtime member of Bethel Freewill Baptist Church, loved her church family and enjoyed being involved in church activities. 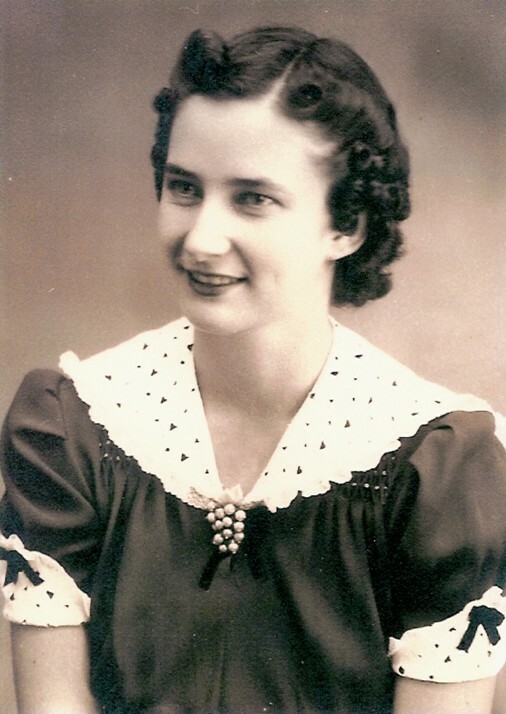 Virginia was preceded in death by her husband; her parents; Elton’s parents Horace and Gussie Toliver; sons Ross and Ronnie; great-grandsons Tanner and Brady Barger; sisters and their husbands Jewell and Sam Lall, Lela and Raymond Hendricks, Mary and Joe Grant; brother Ralph Gassett and his wife Opal; daughter-in-law Norma Toliver; brother-in-law Andy Anderson; sister-in-law Beatrice Richardson and her husband Fred; and several nieces and nephews. Virginia is survived by her sons Wayne and Jim Toliver; daughter Sharon Henderson and husband Dan; sister Norma Anderson; grandchildren Darren (Kristi) Toliver, Debbie Toliver, Tim (Stacy) Minehardt, David (Christina) Minehardt, Jeff Toliver, Julie (Mike) Blume, Tracy (David) Barger, Jamie Toliver and Jenny (James) Cheek; nineteen great grandchildren; three great-great grandchildren; and numerous nieces, nephews, other family and friends. Services will be held at 2:00 PM on Thursday, October 13, 2016, at Bland-Hackleman Chapel, El Dorado Springs, MO, with Bro. Dennis Johnston officiating. Interment will follow in El Dorado Springs City Cemetery under the direction of Bland-Hackleman Funeral Home. Visitation will be at 1:00 PM immediately preceding the funeral service.